An old wives' tale that snails can be a sign of changing weather should not be dismissed out of hand, European researchers say, as they may give climate clues. Snails climbing a plant or post supposedly means rain is coming, the tale goes, but a study led by the University of York in Britain goes one better: It shows snails can provide a wealth of information about the prevailing weather conditions thousands of years ago. Analysis of the chemistry of snail shells recovered from Mediterranean caves, and dating back as far as 9,000 years, shows the western Mediterranean was not the hot dry place it is now but warmer, wetter and stickier, a university release reported Wednesday. Archaeological sites around the Mediterranean basin from the time when the first farmers arrived in Italy and Spain contain an abundance of land snail shell remains, the researchers said. States Archaeologist Dr Philip de Jersey said covering part of the stones would hopefully protect them. He said: "People have lit fires in between them so they crack... there's been graffiti... we want to stop that." 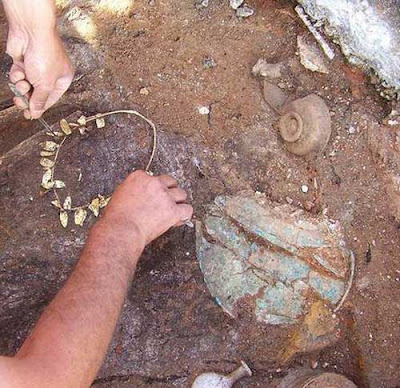 Excavation work during construction of a new subway network in Greece's second largest city has discovered an ancient wreath made of gold that was buried with a woman some 2,300 years ago. Archaeologists say Friday's find in Thessaloniki occurred on the site of an ancient cemetery in the west of the northern port city. A total 23,000 ancient and medieval artifacts have been found during archaeological excavations connected with the construction since 2006. La Roca dels Bous, a Paleolithic site located near the southeastern Pyrenees of Spain, has been cited by archaeologists as a key location with Neanderthal-related remains that may shed light on the changes that may have contributed to the demise of the Neanderthals in Europe. Now, a team led by Dr. Rafael Mora of the University Autonomous of Barcelona will be returning to the site in 2013 to excavate and explore lithic assemblages, fossil bone, and other remains that may date as far back as 50,000 BP. The excavations may help research efforts focused on constructing a better understanding of the factors that may have contributed to the decline and eventual disappearance of humanity's most closely related extinct human species. The project, part of the European project POCTEFA, combines the efforts of the University Autonomous of Barcelona, ArchaeoBarcelona and resources from three countries -- France, Spain and Andorra -- and will employ innovative digital technology for collecting, organizing and storing data, in part through hand-held tablet devices. In this way a large body of information can be more efficiently and accurately collected and then more easily used for analysis and reporting of finds. The results should also provide a valuable reference for further study by researchers and students worldwide. "It is the first archaeological site in Spain that has been turned into a museum exhibition with digital technology", reports the team leadership. "Using an iPad you can take an interactive tour through videos, photos and 3D applications. 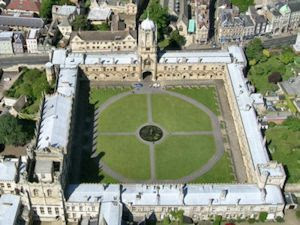 Furthermore, the exact location of the findings is mapped via laser triangulation to provide an unparalleled experience." Archaeologists have unearthed decapitated human remains beneath former allotment land in Soham. Experts from the Hertford-based firm Archaeological Solutions are currently excavating a Roman settlement on land off Fordham Road, before 96 homes are built on the site. Among the wealth of artefacts found are a number of human burials thought to predate the Roman settlement, including one where the person was decapitated before being put in the ground. 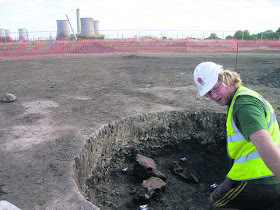 Andrew Peachey, a specialist in prehistoric and Roman pottery at the company, said: “Prior to the Roman settlement, the margins of the Fen and island [of Ely] were heavily exploited by prehistoric settlers, including one who appears to have been decapitated before being placed in a crouched burial in a circular pit. When I was an undergrad in 1990 we were taught that all six periods of the Scandinavian Bronze Age were 200 (or in one case 300) years long. The most recent radiocarbon work shows that they all had different lengths and were more likely 130-280 years long. And the periods with the most abundant metalwork finds, II and V, are the two shortest. So their previously known status as metal-rich eras looks even more pronounced now, and the intervening periods look even poorer. Each of these periods translates to a list of artefact and monument types that are commonly found together. Their relative ordering through time has been known since the 1880s. Current work looks at the absolute dates at which these typological laundry lists were current. It uses a new technology, radiocarbon dating of cremated bone, and new applications of Bayesian statistics, which allow us to constrain the uncertainty of the radiocarbon results using stratigraphical observations. The latter means that if we know that grave B was later than grave A because one sat on top of the other, then we can tell the software to disregard parts of the probability distributions that gainsay this observation. Harvard geneticist George Church speaks to Reuters reporters about cloning during an interview in Boston, Massachusetts January 23, 2013. After spending the weekend reading blog posts claiming that he was seeking an "extremely adventurous female human" to bear a cloned Neanderthal baby - which was news to him - Harvard geneticist George Church said it may be time for society to give some thought to scientific literacy. Church became the subject of dozens of posts and tabloid newspaper articles calling him a "mad scientist" after giving an interview to the German magazine Der Spiegel. In the interview, Church discussed the technical challenges scientists would face if they tried to clone a Neanderthal, though neither he nor the Der Spiegel article, which was presented as a question and answer exchange, said he intended to do so. Anyone who owns a dog knows that it will rummage around in the kitchen bin looking for food, given half a chance. But this annoying behaviour may have a more profound undercurrent than we realise, according to scientists. A new study of dog genetics reveals numerous genes involved in starch metabolism, compared with wolves. 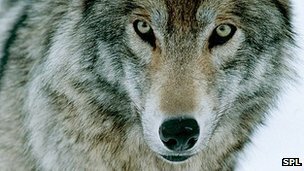 It backs an idea that some dogs emerged from wolves that were able to scavenge and digest the food waste of early farmers, the team tells Nature journal. No-one knows precisely when or how our ancestors became so intimately connected with dogs, but the archaeological evidence indicates it was many thousands of years ago. If you're a young, single and adventurous female human and wondering what to do with the womb you have just lying around inside you collecting dust, an opportunity has arisen. You can bear a Neanderthal baby. This is a once in an aeon chance to have your very own bundle of fur; a little Ug Jnr with your eyes and smile but the back hair of its great-great-great-great-great (etc) grandfather. Prof George Church of Harvard Medical School believes that he can reconstruct Neanderthal DNA, and is seeking a volunteer have the "neo-Neanderthal" embryo implanted into her uterus. Church believes that a new race of human could be beneficial if we end up facing an apocalypse at some point, so the lending of your womb could potentially save humanity. Or at the very least produce a subspecies that would be good at heavy lifting and killing the DNA-reconstructed mammoths we will inevitably recreate as well. New and exciting evidence has been found at a threatened archaeological site on the Severn Estuary that seems to show Mesolithic people knew how to adapt their environment to suit their needs. 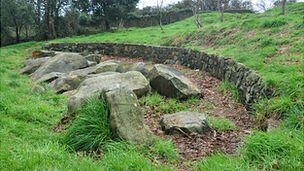 Researchers from the University of Reading found 7500 year-old worked flint tools, bones, charcoal and hazelnut shells while working at Goldcliff, near Newport, south Wales, in September 2012. Charcoal remains discovered on the site suggest these people used fire to encourage the growth of particular plants, such as hazelnuts, crab apples and raspberries. This evidence may indicate that Mesolithic people were deliberately manipulating the environment to increase their resources, thousands of years before farming began. The research, carried out by Dr Barry Molloy of the University of Sheffield’s Department of Archaeology, investigated the Bronze Age people of Crete, known by many as the Minoans, who created the very first complex urban civilisation in Europe. “Their world was uncovered just over a century ago, and was deemed to be a largely peaceful society,” explained Molloy. “In time, many took this to be a paradigm of a society that was devoid of war, where warriors and violence were shunned and played no significant role. SHETLAND’S pre-Christmas storms have revealed remains of an iron age building and a human skeleton believed to be 2,000 years old. Archaeologists said a structure was briefly exposed at Channerwick before being buried again by a rockfall over the festive period. 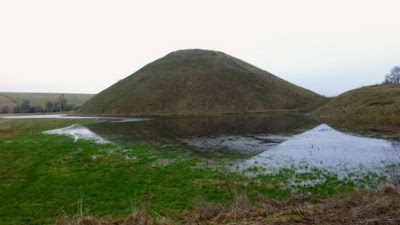 Before it disappeared from view, police officers and archaeologists were able to investigate the site and take a bone sample for radiocarbon dating. 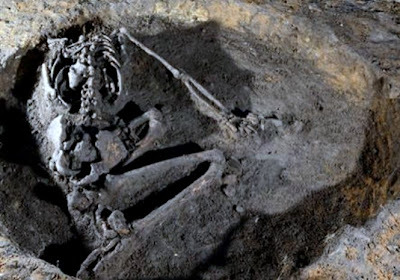 Shetland Amenity Trust assistant archaeologist Chris Dyer said: “The skeleton, initially reported by a local resident, looked as if it were contemporary with the Iron Age remains. County archaeologist Val Turner added that during the investigation she and freelance colleague Samantha Dennis discovered evidence of at least one, and possibly two other burials. New research shows ancient Indians migrated to Australia and mixed with Aborigines 4 000 years ago, bringing the dingo's ancestor with them. The research re-evaluated the continent's long isolation before European settlement. The vast southern continent was thought to have been cut off from other populations until Europeans landed at the end of the 1700s, but the latest genetic and archaeological evidence throws that theory out. Researchers at the Max Planck Institute for Evolutionary Anthropology in Leipzig, Germany, reported "evidence of substantial gene flow between Indian populations and Australia about 4 000 years ago". Research by US scientists into the composition of dried human faeces from archeological sites shows that the increasingly urban and cosmopolitan way of modern life has led to dramatic changes in the make-up of human intestinal flora. Raul Tito and his colleagues from the University of Oklahoma analysed the microbial composition of coprolite samples (faeces retrieved from archaeological contexts) from three locations in the Americas. The sites were chosen because they provided a broad range of environmental conditions. The samples taken from Hinds Cave in the southwestern United States were the oldest, at around 8,000 years, while those recovered from Rio Zape in northern Mexico were 1,400 years old. The samples taken from naturally preserved mummies in Caserones in northern Chile were 1,600 years old. A team of Turkish archeologists has unearthed ruins of a Neolithic settlement dating back over eight millennia in Pendik district in Istanbul. The relics were uncovered during the construction process of a project in Istanbul’s Marmaray railway. The findings include ancient houses, skeletons, cemeteries and various tools such as spoons, needles and axes that indicate a history of 8,500-year-old settlement at the area. 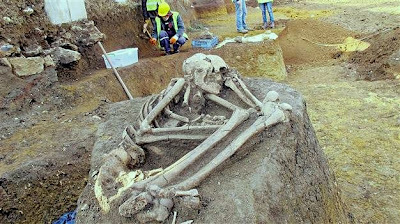 Most of the found skeletons were buried in a fetal position, where the arms are embracing the lower limbs. As thousands of mussel shells were discovered in the area, the experts suggest that the residents of the ancient village must have consumed large amounts of mussels. While working as director of studies at one of Princeton University's residential colleges in the 1980s, Bogucki theorized that the development of cheese-making in Europe—a critical indicator of an agricultural revolution—occurred thousands of years earlier than scientists generally believed. His insight, based on a study of perforated potsherds that Bogucki helped recover from dig sites in Poland, promised to change the scientific understanding of how ancient Western civilization developed. Bogucki published his theory in a 1984 article in the Oxford Journal of Archaeology. Although his detective work was extensive, it was impossible to prove the bits of pottery were the remains of a cheese maker, rather than some other type of strainer. There the matter lay, until researchers at the University of Bristol used a new type of test to measure ancient molecular remnants embedded within the pottery. 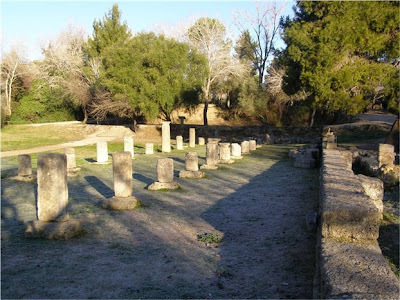 The face of global symbol and most sacred place of ancient Greece, Ancient Olympia, is changing, after the decisions made by the Central Archaeological Council (KAS) about the excavations in the area and the approval of proposed studies. Unearthing and enhancement of the East Arcade of the Gymnasium (new entrance and facilities for audience services). Conservation of the retaining wall of the Treasuries. Conservation of the excavation slopes at the Sanctuary of Demetra Chamyne. The Stone Age hunter’s food contained large amounts of protein from fish, lean mean, herbs and coarse vegetables and has formed the basis of one of today’s hottest health trends: the paleo diet. 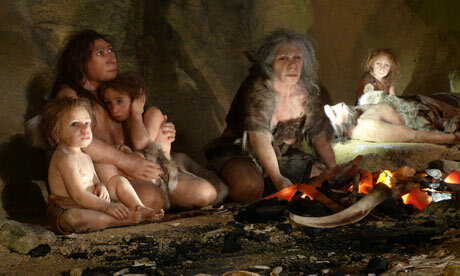 The modern version of the Stone Age diet excludes foods rich in carbohydrates. This exclusion of carbs is based on the idea that Stone Age hunters didn’t have access to bread, rice or pasta. Sabine Karg, an external lecturer at Copenhagen University’s Saxo Institute, specialises in archaeobotany. She says that Stone Age hunters, unlike many followers of the modern Stone Age diet, joyfully munched away at carbs when the opportunity presented itself. AN ANCIENT floor which has not seen the light of day for 10,000 years has been uncovered at the Ayia Varvara-Asprokremmos site, the antiquities department said yesterday. The department said new finds during the latest excavations had redefined the understanding of the kind of human occupation that existed at the Neolithic site in the Nicosia district, which has been radio-carbon dated to between c. 8,800-8,600 BC. The excavations took place in November 2012 and were run by Dr Carole McCartney on behalf of the University of Cyprus working in partnership with Cornell University and the University of Toronto. According to an announcement, the floor which “was exposed for the first time in 10,000 years” exhibited a dished form, raised above the central area providing a rough bench that ran along the circumference of the interior wall. 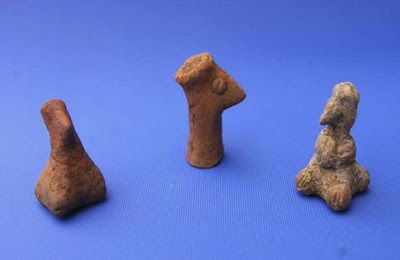 Archaeologists from the University of Southampton studying a Neolithic archaeological site in central Greece have helped unearth over 300 clay figurines, one of the highest density for such finds in south-eastern Europe. The Southampton team, working in collaboration with the Greek Archaeological Service and the British School at Athens, is studying the site of Koutroulou Magoula near the Greek village of Neo Monastiri, around 160 miles from Athens. Koutroulou Magoula was occupied during the Middle Neolithic period (c. 5800 - 5300 BC) by a community of a few hundred people who made architecturally sophisticated houses from stone and mud-bricks. The figurines were found all over the site, with some located on wall foundations. It's believed the purpose of figurines was not only as aesthetic art, but also to convey and reflect ideas about a community's culture, society and identity.